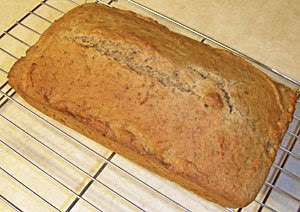 I borrowed a copy of the Enchanted Broccoli Forest from the library and baked a loaf of their yogurt herb quick bread. It turned out great! Tender and tangy, simply perfect! I must make this one again.